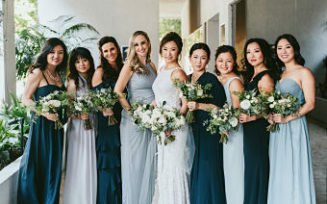 This classic rooftop wedding was perfect for this beautiful Los Angeles night. 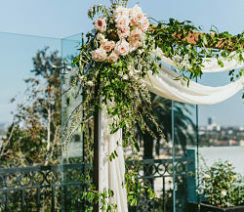 The hotel provided a gorgeous view of the cityscape while maintaining an intimate feel. 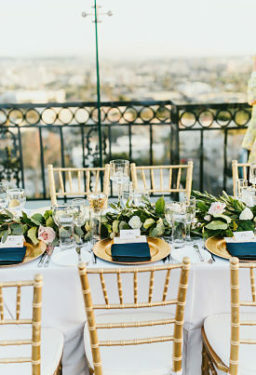 Lush runners of greenery and blooms cascaded over the ends of the longer tables. 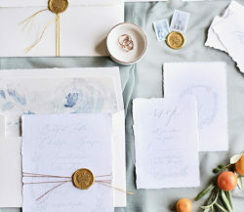 Elegant furniture and decor displayed accents of gold and navy. 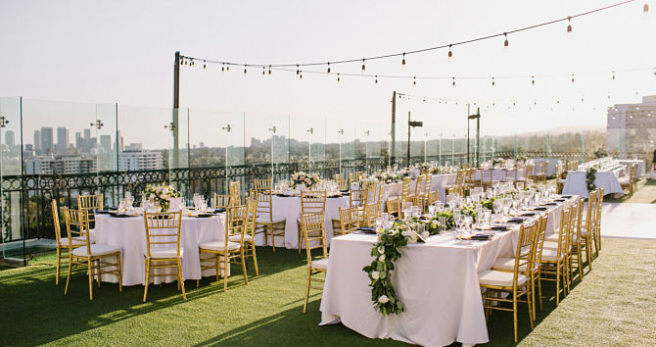 Strings of twinkly lights added the perfect touch to this night of dancing under the stars.